No inspection is too hard when it comes to our reaching your inspection goals. Our camera system can be pushed, dangled and some submerged. Call or email us today to find out more. 23mm Drain/pipe Inspection Camera System with 20/30/40..
23mm Drain/pipe Inspection Camera System with 20/30/40M cable (Please click 'Download' for downloading the PDF brochure & English Manual of this camera) This is a Drain/Pipe Inspection Camera that comes with 23mm camera head, a 7inch LCD monitor with DVR, a 20/30/40m cable reel that is .. 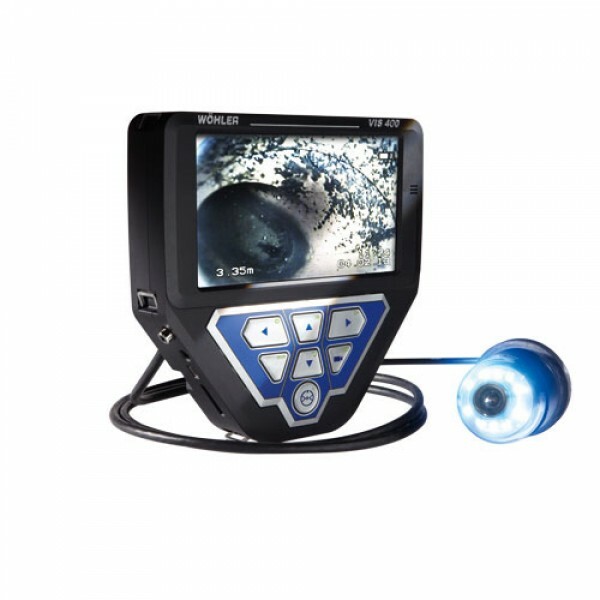 This is a professional video pipe inspectioncamera for in.. This is a professional video pipe inspectioncamera for inspection of internal pipelines,drains and sewerage systems.Key features:38mm stainless steel camera headChoice of 60m/80m/100m/120m fiberglass cables available7" removeable monitorMeter counterBuilt-in Sonde (512Hz, optional feature)Unique Des..
38mm Drain/pipe Inspection Camera System with 40-60m ca..
38mm Drain/pipe Inspection Camera System with 40-60m cable, Self-Leveling Camera, On-Screen Distance Counter, and Wireless Keyboard for Text Input This is a Drain/Pipe Inspection Camera that comes with self-leveling feature 38mm camera head, a removeable 7inch LCD monitor with DVR, a 40-6..